Darren is our multi-talented head engineer and manager here at Jukasa Studios, and played an important role in three Juno Award winning projects with artists such as The Sheepdogs (2012 "Single of the Year"), Harrison Kennedy (2016 "Blues Album of the Year"), and July Talk (2017 "Alternative Album of the Year"). 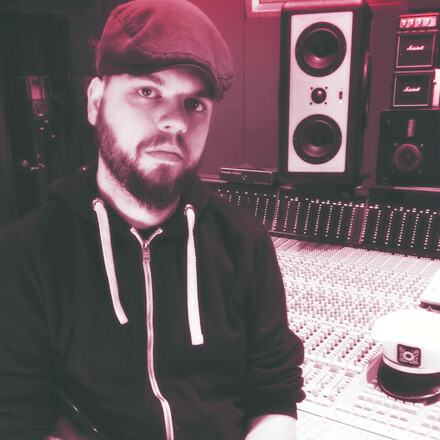 Since August 2010, Darren has played a pivotal role in generating albums and singles for other iconic artists such as Three Days Grace, Alexisonfire, Cancer Bats, Snoop Dogg, Protest the Hero, OB OBrien, Mobb Deep, Bun B plus many more. Born and raised in London, ON, Darren first started into music in his early teenage years. After spending his high school years with ample amounts of private music lessons, musical performances and theory, Darren pursued the University of Western Ontario to further his studies in music theory and composition, as well as psychology. Furthermore Darren took his education to new heights by attending and graduating from the Metalworks Institute, in Mississauga ON. Upon his education credentials making him a key player in the music industry, Darren also toured across Canada and the US with various indie bands spanning more than a decade, in addition touring across North America; working as a backline technician, stage manager, and monitor tech. Darren has had the privilege of working with world class producers and engineers such as; Gavin Brown (Billy Talent, Three Days Grace, The Tragically Hip), Ian Davenport (July Talk, Wir Sind Helden) Julius Butty (Alexisonfire, Protest the Hero), Jim Wirt (Incubus, Fiona Apple), Eric Ratz (Billy Talent, Cancer Bats), Ted Chung (Snoop Lion), Christopher Thorn of ʻBlind Melonʼ, Ben Kaplan (Shakira, Gallows), Nick Blagona (Deep Purple, April Wine), Matt DeMatteo (Danko Jones, Big Wreck) to name a few. Some of Darren’s personal musical influences and previous recording experience range from; Rock, metal, punk, classic rock, folk, country, rockabilly, blues, rap/hip hop, R&B, native traditional, reggae, big/swing band, jazz, plus much much more. Jill is our engineer here at Jukasa Studios, and played an integral part in two JUNO award winning albums with artists such as Harrison Kennedy (2016 "Blues Abum of the Year") and July Talk (2017 "Alternative Album of the Year"). She came all the way from Cologne, Germany to follow her dream to work in the North American Music Industry with its wealth of talented musicians and artists. Being surrounded by music her entire life, that included violin lessons, orchestra/choir rehearsals, playing guitar and singing, Jill found her true passion for music and sound especially after attending many European and North American concerts and festivals. This lead her to develop an interest in sound engineering at an early age. She studied Audio Engineering/Technology at the University of Applied Sciences in Dusseldorf, Germany, and Audio Production at the School of Audio Engineering (SAE) in Cologne, Germany, where she had the chance to learn from established engineers such as; Hans-Martin Buff (Prince, Scorpions, No Doubt), Kai Blankenberg (Die Toten Hosen, Donots, Beatsteaks) and Wolfgang Stach (BAP, Guano Apes). Working in various audio fields and getting hands on experience with different types of consoles at the SAE lent her a better understanding about sound, which she relates to everyday in the studio environment. In 2010, she was selected as one of the ten most dedicated and motivated audio engineering students in all of Europe, being awarded the ‘Scholarship Of Sound’ presented by AKG Acoustics. The program, sponsored by Grammy award winning producer Quincy Jones (Michael Jackson, Celine Dion, Aretha Franklin), sent her on a week long seminar to Berlin, Germany, to receive private instruction, lectures and workshops from industry icons such as mastering engineer Stefan Betke and label managers Jon Berry and ‘Dixon’. 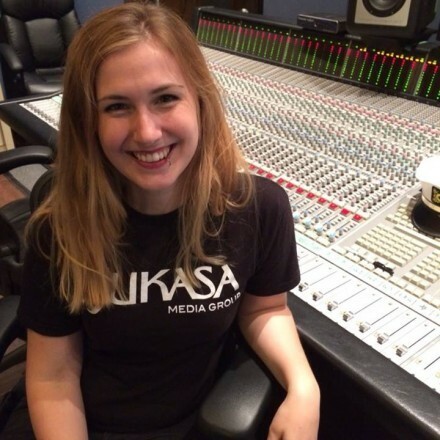 During her studies, Jill had the chance to work in many different fields of audio. In live sound, her responsibilities and involvement were in the fields of mixing, stage-managing and stage-setup/teardown for many indie bands such as Hamilton’s own, Arkells. She has also worked in radio and television broadcasting by editing radio reports for ‘Welle Niederrhein’ and working at Zweites Deutsches Fernsehen (ZDF), the second largest TV station in Germany, as a live sound technician. Her duties included setting up microphones and wireless audio systems as well as maintaining all of the studio audio gear. Having been part of the ‘Giesing Team’ in Dusseldorf, Germany, Jill recorded, edited and mixed the sound for commercials, corporate videos and audio books. Having worked for video related audio, she achieved to do location sound and dialogue editing for internationally screened independent movies such as “Lausche Nicht dem Wasser” & “In The Night”, as well as assisting location sound for a three time awarded short film “Bruder”. Since Jill moved to Canada, she has worked on many projects, including the US Billboard Charts #1 Hit Singles "The Mountain" / " Infra-Red" / "Right Left Wrong" by Three Days Grace.